Hillbilly Tea owner Karter Louis has announced that he is closing his restaurant at 106 W. Main St. The idiosyncratic restaurant has had a peripatetic history, having a fairly good run on First St. before the bridge construction began and altered traffic patterns. After closing that first restaurant, Louis tried to develop other locations, but personal problems scotched those plans. That most recent iteration of his creative Southern food restaurant opened last May, but a variety of problems resulted in Louis’s decision to close just as the year ended. 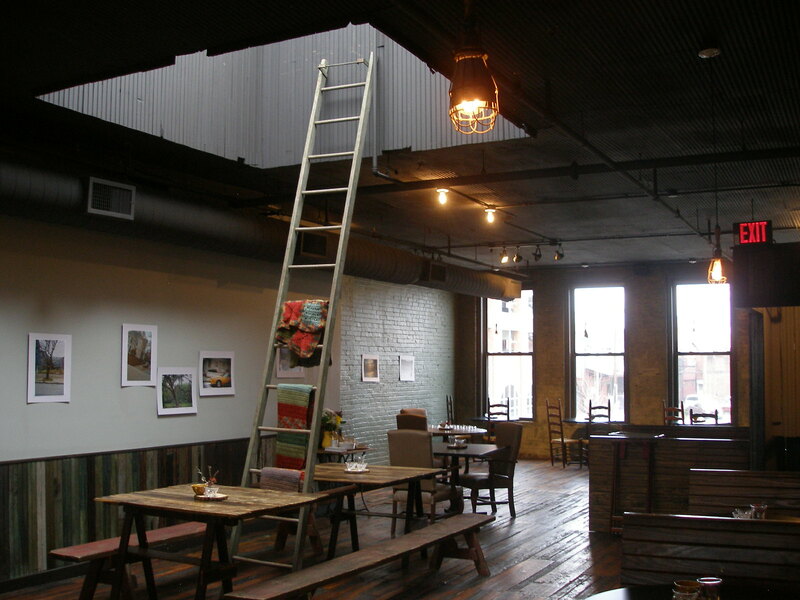 While the restaurant will not longer be serving meals, Karter hopes to continue developing the Hillbilly Tea brand, according to a story in Insider Louisville. Louis plans to provide his unusual teas to local restaurants, and to develop an online sales presence. Louis, who had the audacity to open a Hillbilly Tea in Shanghai, China, has other ideas still percolating, such as tea-infused alcohol, and he has taken some gigs as a restaurant consultant, but he has no plans for another restaurant of his own.